Use this for any RSS reader. In this series, we spend some time developing a website from the ground up. There's a lot of discussion up front, including talking about our old college classes and reading rainbow. On the technical end, we try to cover the very basics of introductory HTML and CSS. 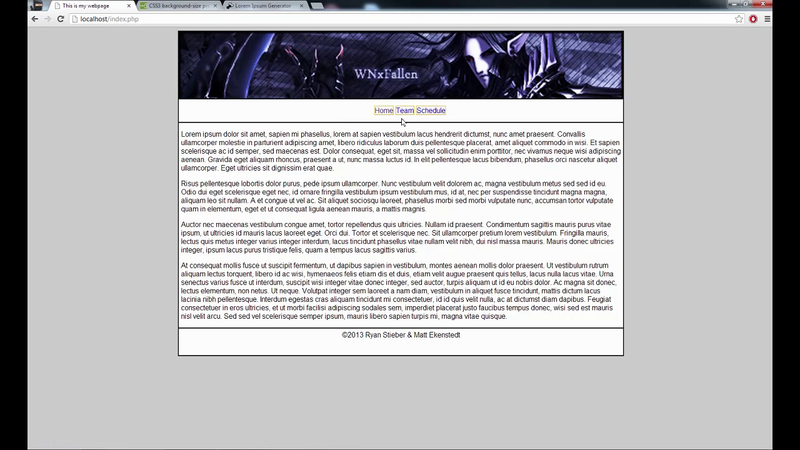 We start out by blocking out a basic one-column website, including a top banner, navigation bar, content, and footer. Want to know when we post? Too lazy to come to the website? Add this feed to your feedreader: Video Podcast Feed. Copyright © 2011, Matthew Ekenstedt. All rights reserved.